Every theatre lovers dream, three shows in one night. A masterwork. It throbs with passion and compassion. Life is breathing as Music through each of us. While trusting our Breath, we trust Life to sing that very song, which is the reason why all of us exist. Conjuring the romance and free-spiritedness of gypsy music with six nylon strings, Ukranian classical guitarist Estas Tonne is the modern day answer to the free-wheeling, travelling troubadours of old. The charismatic guitarist fuses together classical structures, Flamenco, Latin and electronic techniques with the music of his homeland, interweaving each note with a sense of mediative reflection and moments of unbridled joy. Allow yourself to get lost in the reveries of Tonne's soaring, spiritual story-telling during miss Tonne on the North American leg of The Breath Of Sound international tour this winter. In choosing this tour title, the enigmatic showman encourages his audiences to observe the phenomenon of breath whilst listening and the tangible affect that sound has on all living matter, let alone the heart and the brain. Alternating between solo concerts and a trio line-up, Tonne will welcome a colorful collective of special guest performers to the stage, assuring no two shows are alike. Sound good to you? 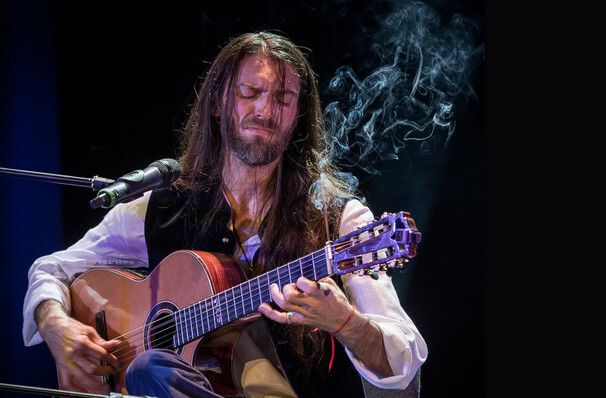 Share this page on social media and let your friends know about Estas Tonne at Fred Kavli Theatre. Please note: The term Fred Kavli Theatre and/or Estas Tonne as well as all associated graphics, logos, and/or other trademarks, tradenames or copyrights are the property of the Fred Kavli Theatre and/or Estas Tonne and are used herein for factual descriptive purposes only. 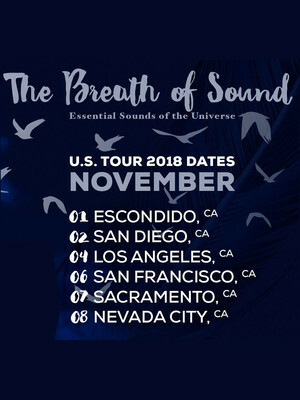 We are in no way associated with or authorized by the Fred Kavli Theatre and/or Estas Tonne and neither that entity nor any of its affiliates have licensed or endorsed us to sell tickets, goods and or services in conjunction with their events.